Luxury melamine--split personality. When just one dip won't do, use the white Beatriz Ball Alegria Double Dip to bring complementary dishes together. Salsa and guacamole harmonize; green beans and roasted new potatoes come together. 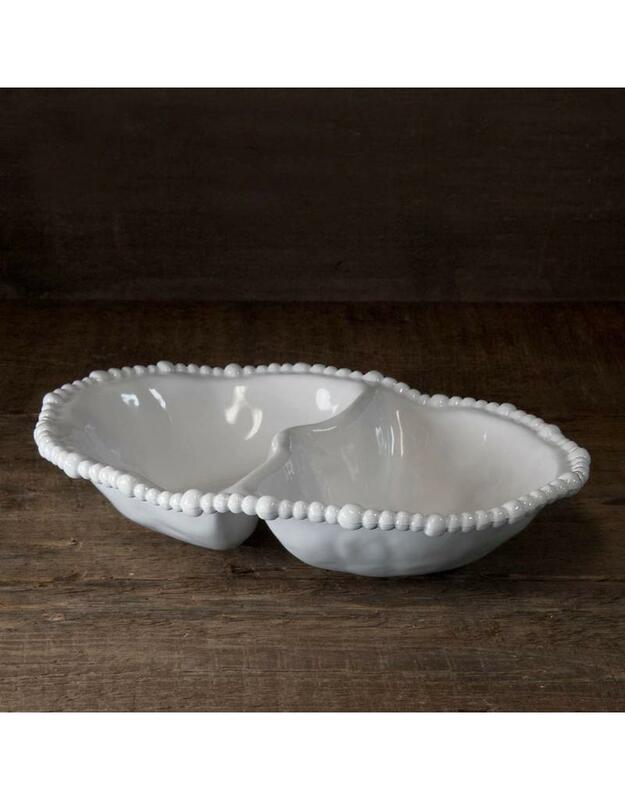 Enlivened with a rim of pearls, the versatile piece makes a great gift for anyone who loves to entertain. 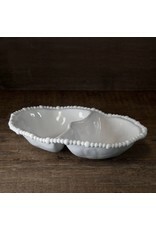 Great for passing around chips and dip, the piece also makes a stylish statement on the dining or patio table. Perfectly suited for indoor and outdoor entertainment, the Alegria Double Dip is designed for everyday enjoyment. 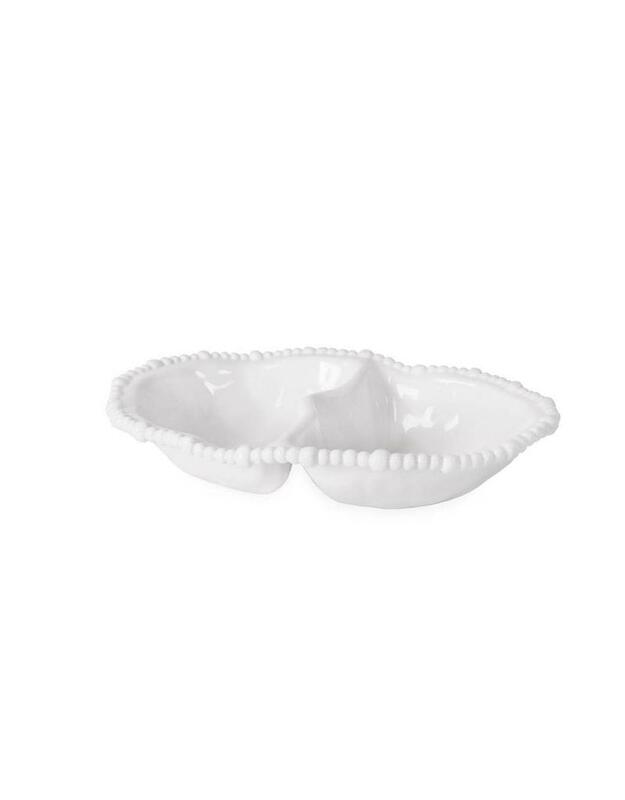 Having the substance, weight and appearance of ceramics, this white melamine serving piece is as beautiful as it is versatile. 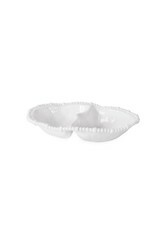 Dishwasher safe (top rack), heavy-weight, break resistant and durable, food safe, BPA and PABA free.